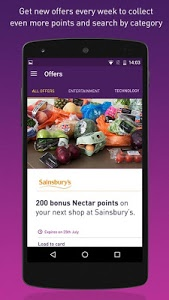 The new Nectar app brings you more offers, more frequently, from even more brands. We have started by helping you get more from Nectar. We will continue to bring you some of your favourite features, as well as new ones, over the coming months, so keep checking back. 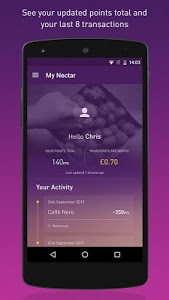 The Nectar app is the perfect companion to your Nectar card, with all your offers in one place. Nectar is free to join. The more you use the app, the more personal your offers become: your card, your app, your points. 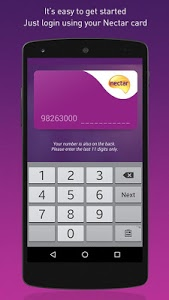 If you have a Nectar card and have registered on Nectar.com, you can login to the app easily by entering your card number and the same password. If you have a Nectar card but haven’t registered yet on Nectar.com, just enter your card number in the app and follow the instructions to complete your registration. Thanks for using Nectar! To make our app even better, we’ve now added a new way for you to keep up to date with the best of Nectar so you don’t miss out. 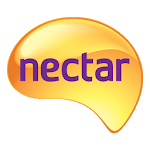 Simply opt in to receive notifications from Nectar and we’ll let you know when we have new offers, competitions and much more. 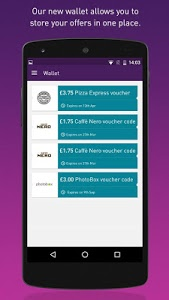 Our app also has a brand new wallet so when you opt in to offers from Caffé Nero, PizzaExpress, Photobox and Virgin trains, you can find them easily. Similar to "Nectar - Offers and Rewards"